Pagah and Orgyen are respectively an abbot (Khenpo) and a senior monk (Geshe) from Chogri Monastery in Drango County, Kardze, eastern Tibet. They were arrested following their participation in a mass prayer ceremony calling for the good health of the Dalai Lama in January 2016. Their whereabouts have been kept secret by local authorities. 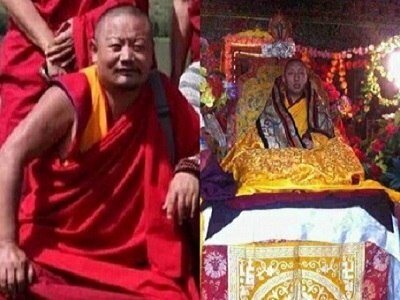 We are contacting you to raise the case of Khenpo Pagah [Kanbu Baga 堪布巴嘎] and Geshe Orgyen [Gexi Aojian 格西奥坚], two senior monks from Chokri Monastery in Drango County. They were arrested in February 2016 after participating in a prayer ceremony. They are now being held in an unknown location and, according to all available information, have not been charged yet or received a trial. Pagah and Orgyen have committed no internationally-recognised crime and appear to have been detained solely for peacefully expressing their beliefs. As you know, Article 35 of the Chinese Constitution guarantees freedom of speech, assembly, association, procession and demonstration. Article 36 guarantees religious freedom. Due to the lack of information about Pagah and Orgyen’s location and status, we are extremely concerned that they may be at risk of torture or ill-treatment, a violation of international law, China’s Constitution and China’s commitments under its Human Rights Action Plan and the Prison Law. The lack of information about their location also raises fears that Pagah and Orgyen are being denied access to visits by family members and fellow monks, as well as being denied legal representation and any medical treatment that they may require.